Modern fans of military style and construction will want to get their hands on our hooded flight jacket. The MA-1 D-TEC jacket is a contemporary take on the authentic MA-1, with thickly knit cuffs, collar, and waistband. 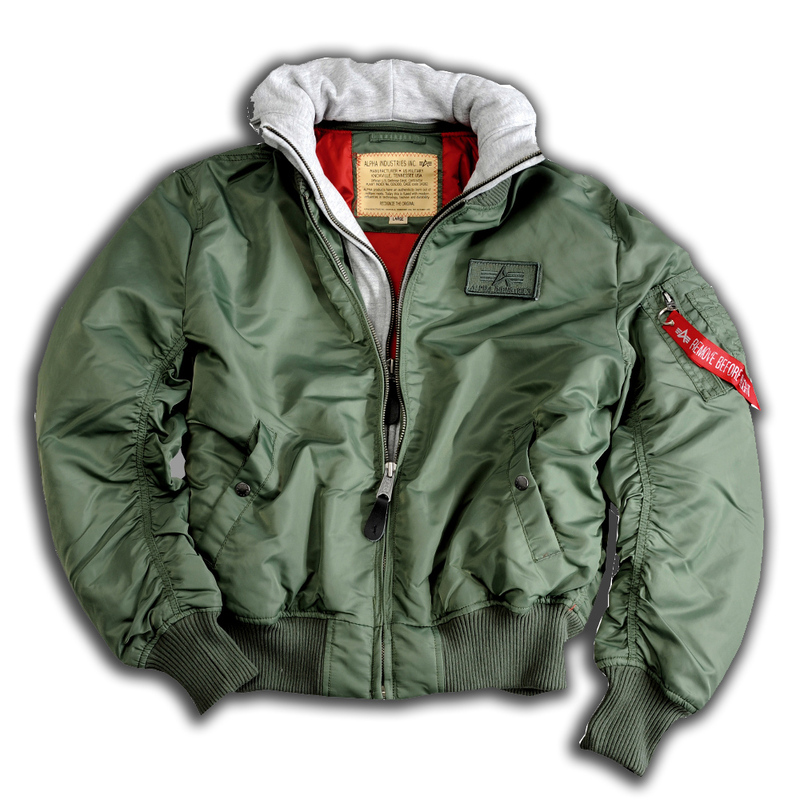 This hooded flight jacket features a Velcro Alpha logo chest patch and contrast-colored lining. The 100% nylon outer flight shell and poly-fill/nylon lining ensure you’re dry, warm, and protected against the wind. Please indicate in "Note" which size and colour would You like to order! Before ordering an Alpha Industries product, please contact Customer Service whether it is still available!